Here's a video I made with the scraps I found in my camera. Apologies for the poor focusing - I got a new camera lens for my birthday and haven't learned how to use it properly yet! It was my first time in Singapore and in a fit of tourism I took the Number Two bus into town from Changi Airport, sitting on the upstairs deck and admiring the utter tidiness of the place and wondering how one achieved a society that kept the streets this polished. There were incredible buildings, one shaped like a spiky durian, another like a giant surfboard balanced on three massive cricket stumps, and all the way to the town centre, it was a feast of diversity - in one area mosques galore, in another, temples, churches with pointy white steeples, and a melting pot of people that would put to shame London's hot pot of diversity. What can one expect from an event called the Asian Festival of Children's Content? I discovered later that the person leading the organizing, Mr Rama, is a librarian - librarians of the world, rock! 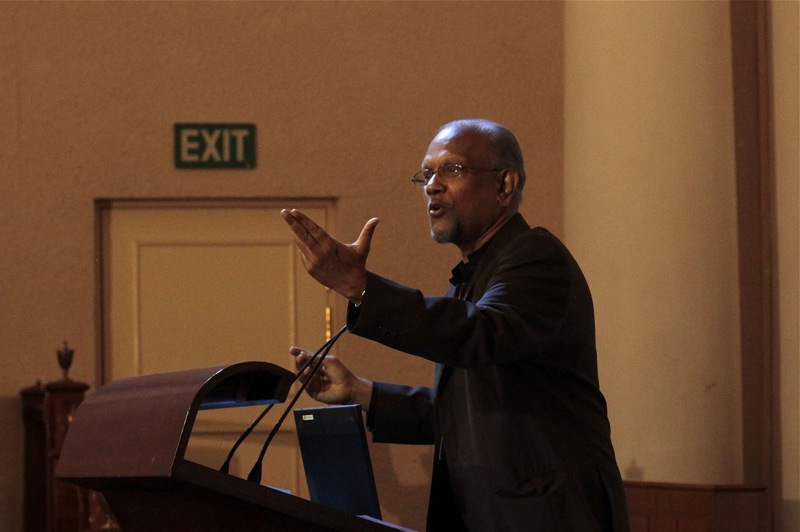 Here's a picture of Mr Rama looking positively evangelical as he welcomes delegates. The BIG THING of course was the country focus - this year's was the Philippines. I was there to be part of the Philippine delegation - imagine! Me part of a Philippine delegation! Who would have thought? One of the luminaries with us was Neni Sta Romana Cruz - on whose books of Philippine folk stories I raised my children. How do I love Neni's writing? I once recorded her stories on tape and gave it to a young friend as a present! These are the perks of being an author that you get to hang out with the coolest people on the planet! I was rushing around the festival taking videos and photos but looking at my pictures, I realized that they couldn't capture what an extraordinary event this was. Having lived in the West for the past 23 years, it was a real wake up call for me to see the other side of the world assembled for the love of books. It felt like something BIG was about to happen. It felt like the future was watching in that audience. loved the song and images on your video! some beautiful looking artwork there. Didn't look very crowded - how many were there? Actually it was pretty PACKED in most events - Someone said attendance was about 800 a day. Enjoyed your video! It's gorgeous, and it looks like you had a lot of fun. Thanks for sharing. Thank you! And don't you love the song? Candy!!!!!! You are a wonder. I love the video. I know there's more to come. It's beautiful. How do I do it? I just look around me and decide, Hmm who do I neglect today? Love the video and love the music. Thank you for taking the time to do it so we could see what it was like. You are a star! Apologies that it was so Filipino-heavy ... I just didn't have enough time. And one of my memory cards crashed so I couldn't use some of my videos. I attended the 2011 AFCC but missed this year (so sad!) Hope to be there in 2013 and meet you in person then! Tarie just did a guest post for us on the PaperTigers blog and included your video. Sniff - wish she warned me that I would have needed some kleenex when I watched it! So sad to have missed out on such a great event! Love that the video is Filipino heavy and the music is just beautiful!! Lovely video, Candy! Wish I could have attended the AFCC. Singapore has a lot to offer, that’s why almost everybody wants to work and stay in that famous city. 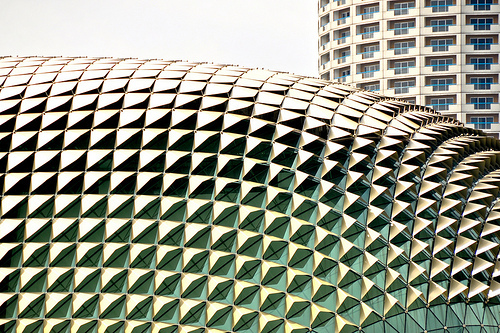 We can’t deny the fact that Singapore is very rich now; we can say that by just considering their architecture designs like the Singapore's famous Durian building. It’s a good city to live in, and a good location for festivals like these. Congrats to Patrick Ness - a double win!